"Sun Conure (Jungle Gardens, Sarasota, FL)." I based this painting on a some photos that I took at a zoo called Jungle Gardens that is in Sarasota Florida. 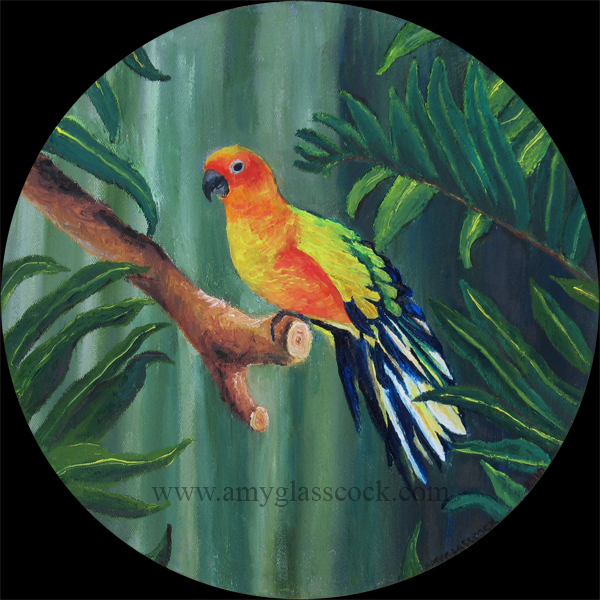 I just love how sun conures feathers are the colors of the rainbow (visible spectrum). And as I was painting this I started thinking about how much leaves look like bird's tail feathers. I'm not sure if that is an important discovery, but simply something that this painting made me aware of.